I almost can never resist desserts… or rather any form of sinful dark chocolate pastries. 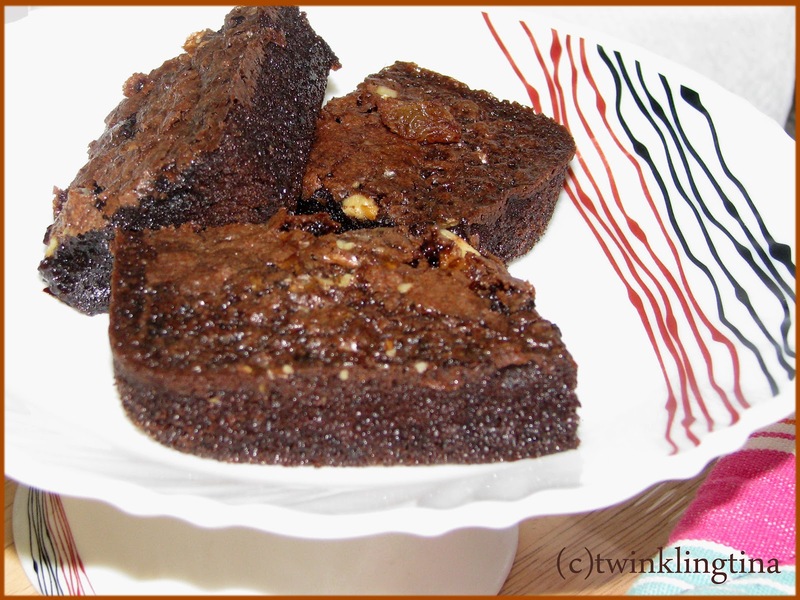 And a moist sinful brownie is just right to set the mood and go yummylicious. I like all my cakes a little moist – it just adds a different dimension. Little butter to grease the baking tray. Sift all dry ingredients – flour, salt, baking powder, cocoa powder in a bowl and keep aside. To this mixture add whole eggs, vanilla essence & sugar and beat until sugar dissolves. Gradually combine the dry ingredients to this mixture while folding it. Add milk to soften the batter. Rest the batter for at least 15 mins before you put it for baking. Prepare a 9 x 9 inch baking tray by greasing it with butter. Pour the batter and spread it evenly in the baking tray. Take 1 teaspoon of plain flour ad coat the roasted walnuts. – this will prevent the walnuts to go and sit at the bottom once the cake starts rising. Sprinkle the walnuts across the batter. Bake it at 180 degrees Centigrade or 350 degrees Fahrenheit for 20 mins. 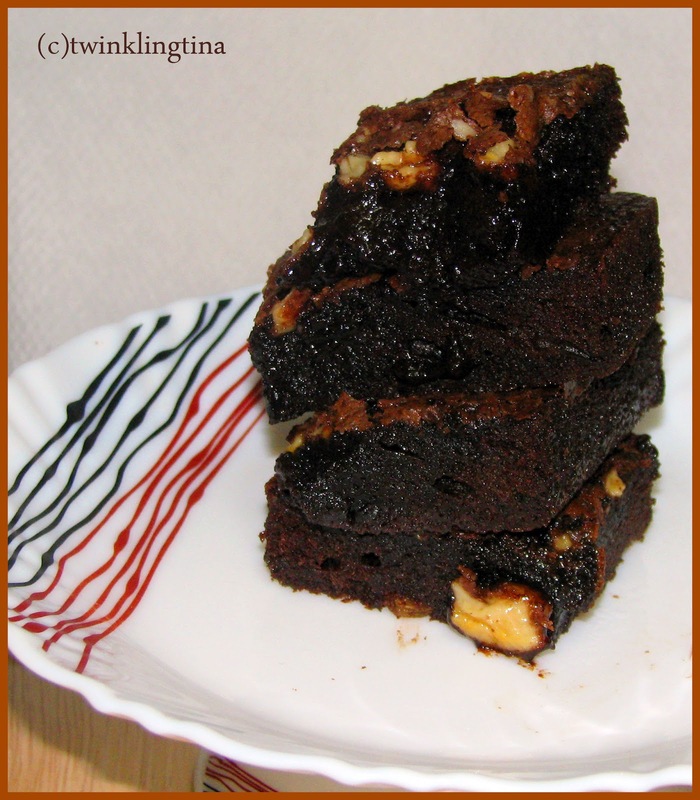 Try this out and let me know how you enjoyed this sinful chocolate indulgence. You can have it just like that or can have it with vanilla ice cream. 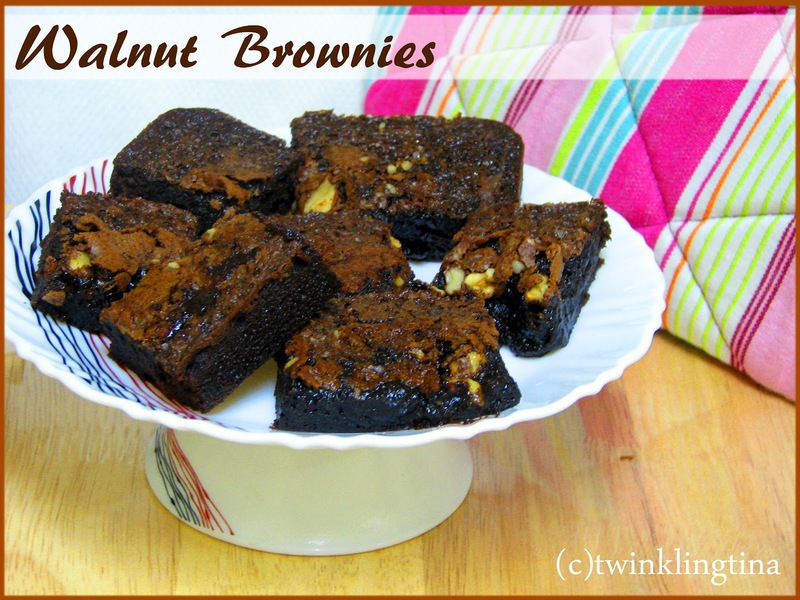 Lovely recipe coupled with equally yummy snaps ! !